Unless you live within driving distance or arrive by boat, you will most likely begin your exploration of the Keys by flying into the Miami International Airport (MIA) and renting a car to head south, or by flying into Key West International Airport (EYW), as I did, where a “Welcome to the Conch Republic” sign looms larger than “Welcome to Key West” at the airport’s entrance. 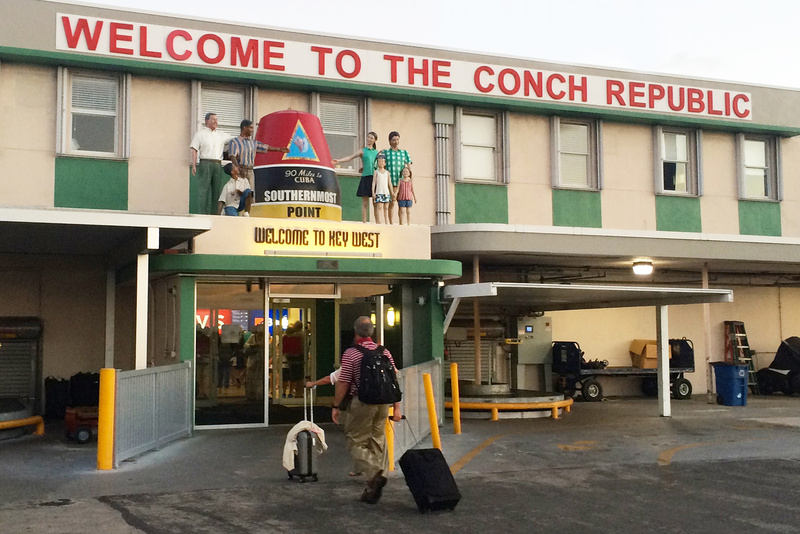 Transportation options to Key West International Airport are increasing. American Airlines started nonstop service between Key West and Dallas-Fort Worth International Airport. 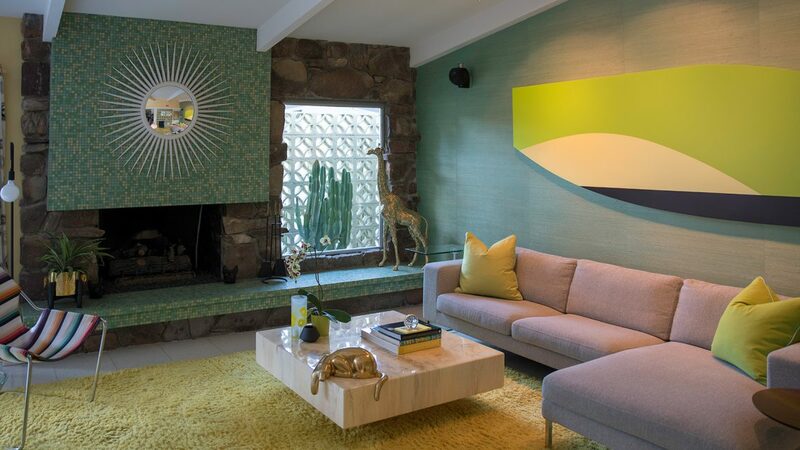 The new service opens up the U.S. west coast market for Key West. Photo by Debbra Dunning Brouillette. Post-Hurricane Irma Update: After Hurricane Irma, on September 10, 2017, The Florida Keys officially reopened to visitors on October 1. 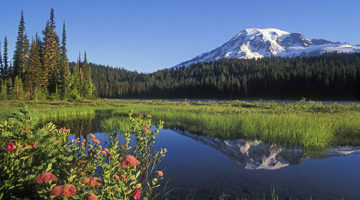 Since that time, the majority of accommodations, restaurants, and attractions have reopened. The Florida Keys Overseas Highway, with 42 bridges providing scenic, over-water views, was designated safe for driving within five days after Hurricane Irma struck throughout the 125-mile island chain. Today, tourists are free to roam about the Keys in search of the perfect tan, beach views and a great margarita. 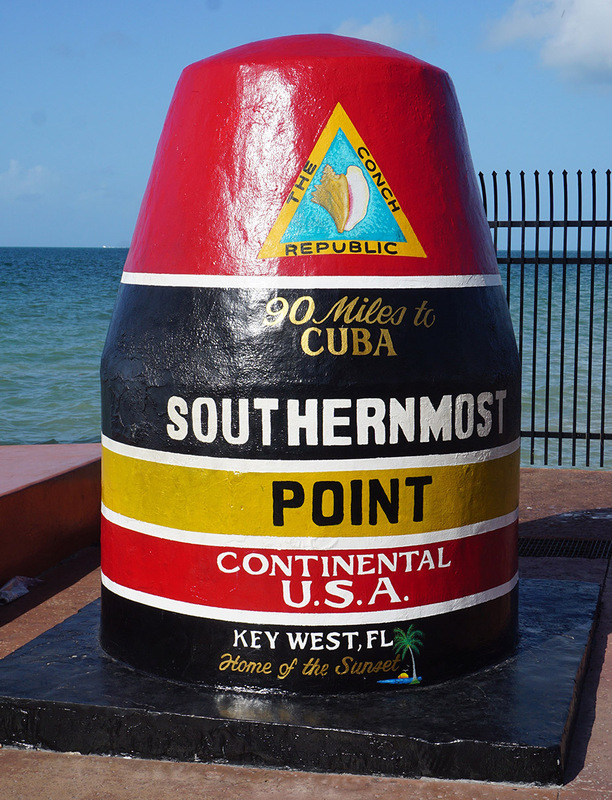 Let’s start with Key West, the southernmost point in the continental U.S. While its quirky, irreverent reputation epitomizes the “Margaritaville” spirit of former resident, singer-songwriter Jimmy Buffett, its appeal has run the gamut. 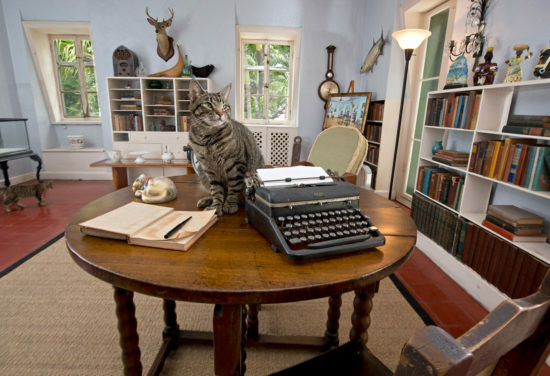 Key West’s Little White House was the winter retreat of U.S. President Harry S. Truman, while literary giants Ernest Hemingway, Tennessee Williams and Robert Frost all spent time here. 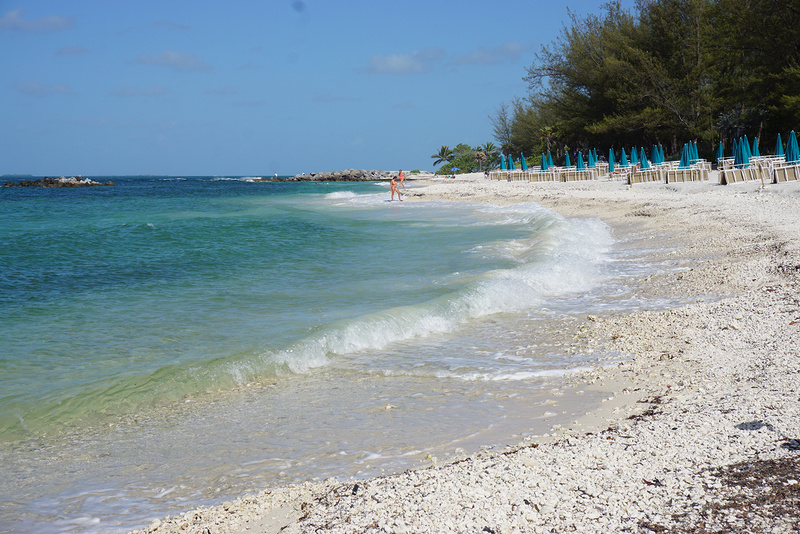 Key West’s best beach is at Fort Zachary Taylor Historic State Park where you can also tour the fort, one of a series built in the mid-1800s to defend the nation’s southeastern coastline. Fort Taylor Beach. 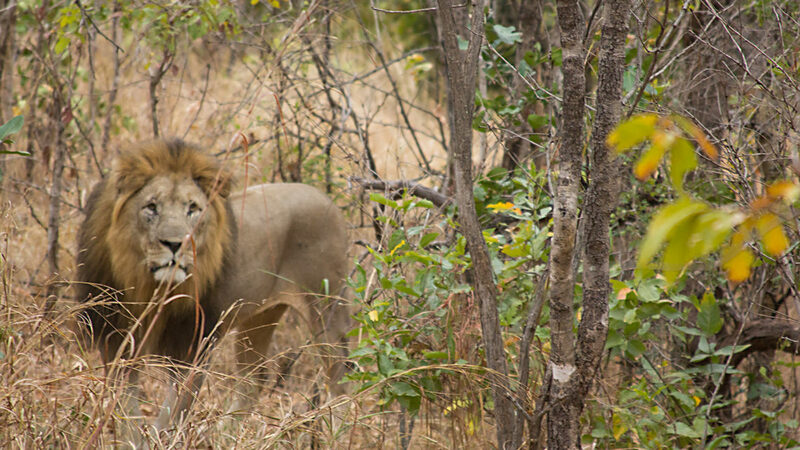 Photo by Debbra Dunning Brouillette. 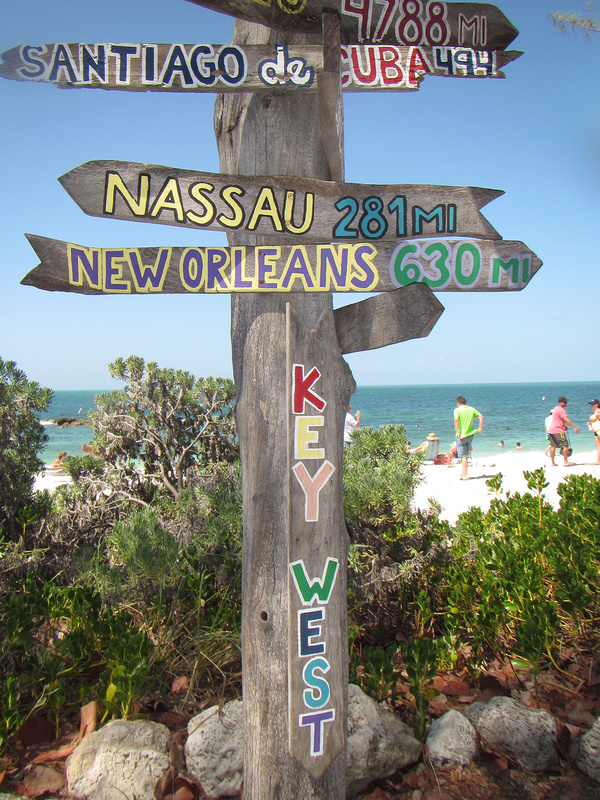 Key West Wooden Sign. Photo by Debbra Dunning Brouillette. Some of the $450 million in gold and silver bars and coins, emeralds, and other jewels recovered from the Atocha and the Santa Margarita in 1985 are on display at the Mel Fisher Maritime Museum. Mallory Square at Sunset. Photo by Debbra Dunning Brouillette. 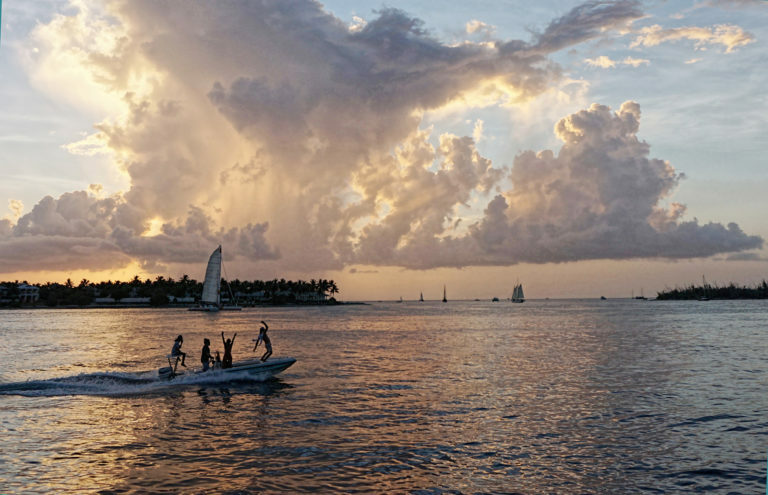 And don’t leave without celebrating the nightly celebration of sunset at Mallory Square, which has become a Key West tradition. Bahia Honda State Park. 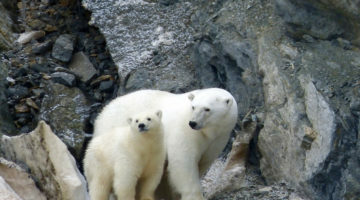 Photo by Bob Krist/Florida Keys News Bureau. Ready for a beach day? Stop at Bahia Honda State Park, located at Mile Marker 37. Calusa Beach on the park’s northwest side is near the historic railroad bridge known as Henry Flagler’s Florida Keys Over-Sea Railroad. Railroad magnate Henry Flagler’s famed railroad helped to transform Bahia Honda Key into a subtropical destination appealing to all ages. Construction of Flagler’s Key West extension of the Florida East Coast Railway was completed in 1912. 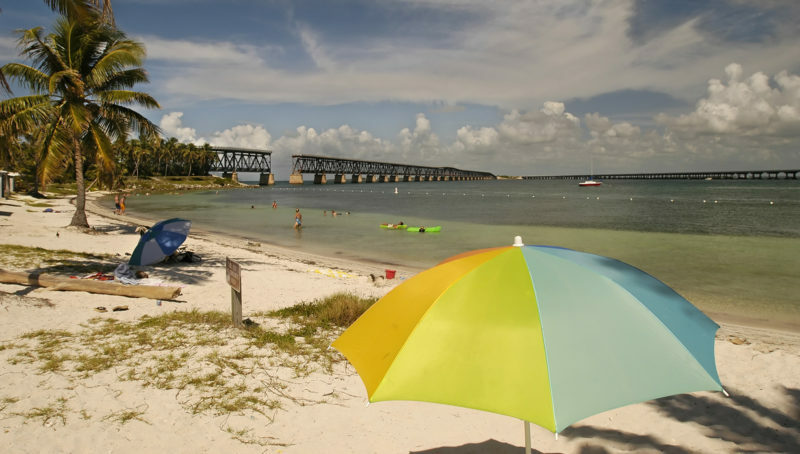 From the old Bahia Honda Rail Bridge, known as the Over-Sea Railroad Bridge, the park offers stunning views. 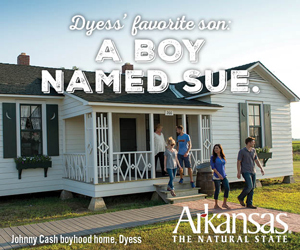 The original trestle railroad structure, with a highway built on top, is a must-see point of interest for visitors. Two nearby campgrounds — Buttonwood, with 43 sites, and Bayside, with eight — are available for overnight camping, accommodating everything from large RVs to small tents. Six cabins on stilts overlooking the bayside of the park are available for rent and can be reserved up to 11 months in advance through Reserve America. From Mile Marker 0 in Key West to the top of the Keys at Florida City (Mile Marker 127.5), you will have traveled across a total of 42 bridges, including the longest and most famous — the Seven Mile Bridge, connecting Knight’s Key, part of the city of Marathon in the Middle Keys, to Little Duck Key in the Lower Keys. 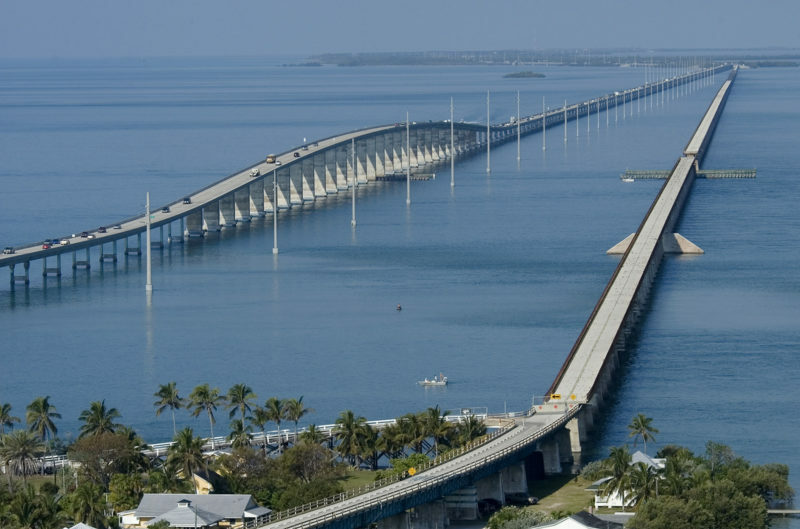 Crossing the Seven Mile Bridge, one of the world’s longest segmental bridges at 6.79 miles or nearly 36,000 feet long, could be considered a reason to visit the Keys on its own. Until 1912, when the original bridge opened as an overseas railway, the Keys were accessible only by water. After a devastating hurricane closed the railway in 1935, a new bridge was built for vehicle travel, and then the current Seven Mile Bridge was constructed from 1978 to 1982. 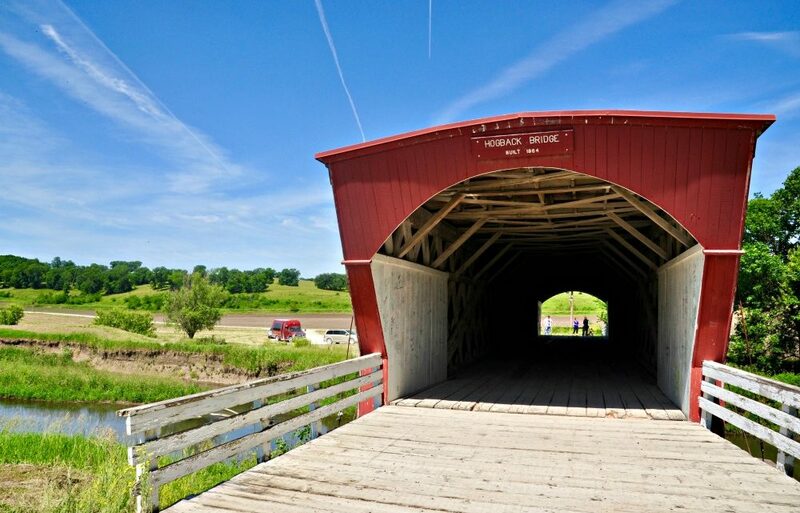 The old railway bridge, which had been used for bicycle and pedestrian traffic, was closed for repairs in 2016 and is scheduled to reopen in 2021 with a full restoration. Florida Lobster. Photo by Debbra Dunning Brouillette. 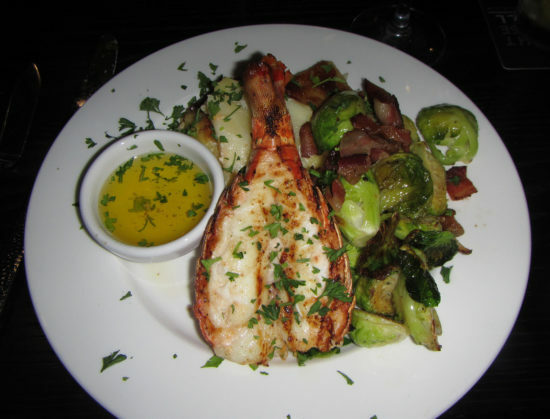 Whether you are a full-fledged pescatarian and only eat fish, or are just a seafood lover, the variety available on menus throughout the Keys is sure to please. Put Key West pink shrimp, considered sweeter than other varieties, on your list to try, along with another Keys specialty — hogfish, a mild-flavored fish in the snapper family more likely to be found on menus in the Keys than elsewhere in Florida. Order it served in several ways at Hogfish Bar & Grill on Stock Island while in Key West. The fresh “catch of the day” is often snapper, grouper, or mahi mahi (dolphin fish), but you’ll also be able to find Florida spiny lobster, pompano, yellowfin tuna, swordfish, wahoo, sea bass, scallops, conch, octopus, and squid (calamari) on menus throughout the area, prepared in a multitude of ways to tempt the tastebuds of the most discriminating foodie. If you see lionfish on the menu, order it! While it is an invasive species introduced to Florida waters during the 1980s, it is also quite tasty, and more restaurants are featuring it when available. Key Lime Pie Sundowners. 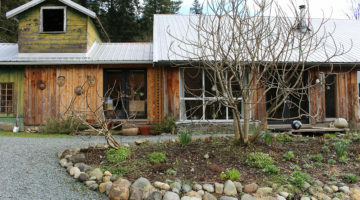 Photo by Debbra Dunning Brouillete. The signature dessert of the Florida Keys is, without a doubt — Key Lime pie. 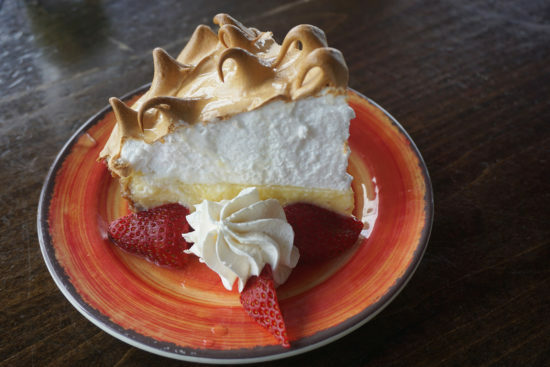 Don’t leave the Keys without trying at least one variation of the tart yet sweet pie made with the juice of the Key lime, some piled high with meringue, some without. 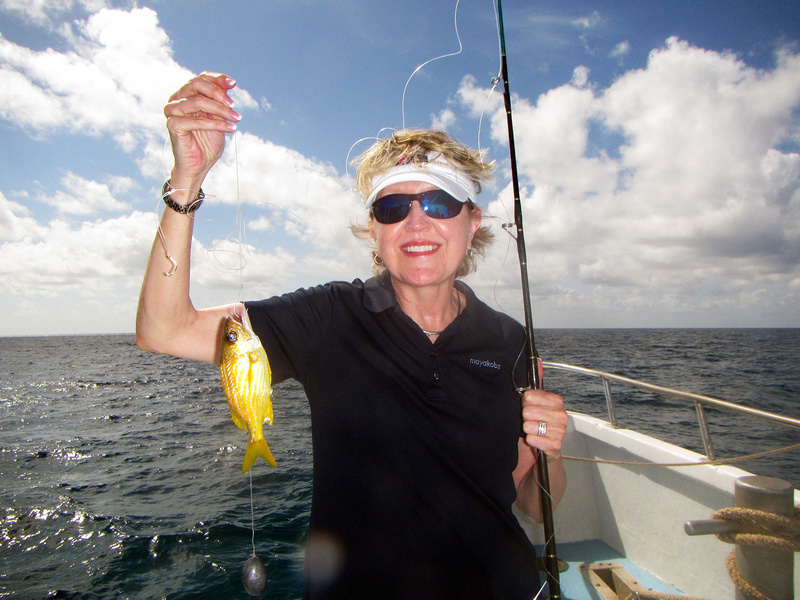 Fishing is a popular activity throughout the Florida Keys, both for expert and amateur anglers. Islamorada, known as the Sport Fishing Capital of the World, is where my travel companions and I boarded a 65-foot deep-sea fishing vessel at Robbie’s Marina, MM 77.5, for a half-day of party boat fishing. We signed up for the Catch and Cook experience, which includes bait, tackle and fishing license. Our catch was cleaned, filleted and delivered to the marina’s restaurant, Hungry Tarpon, where it was prepared and served with two side dishes. Recreational anglers can book guides and charter boats to seek out game fish — bonefish, tarpon, permit, redfish and snook. Some of the greatest sport fish in the world — blue and white marlin, sailfish and swordfish — are also caught in deep-sea areas. 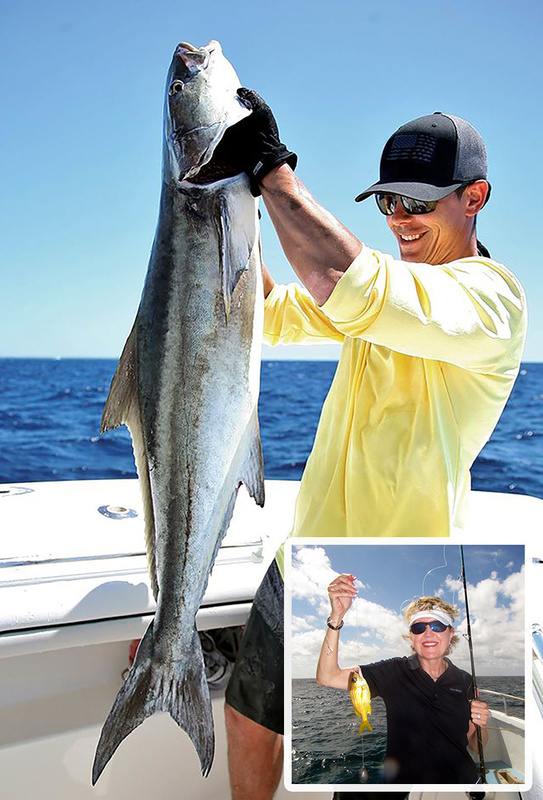 Fishing tournaments are held throughout the year for a variety of species, but the longest is the Key West Fishing Tournament (KWFT) an eight-month long competition that is open to the public whether fishing from a boat, land or bridge. 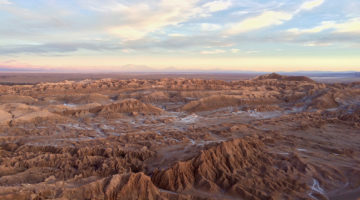 In 2018, it began January 1 and continued through August 31. Christ of the Abyss. Photo by Florida Keys and Key West. 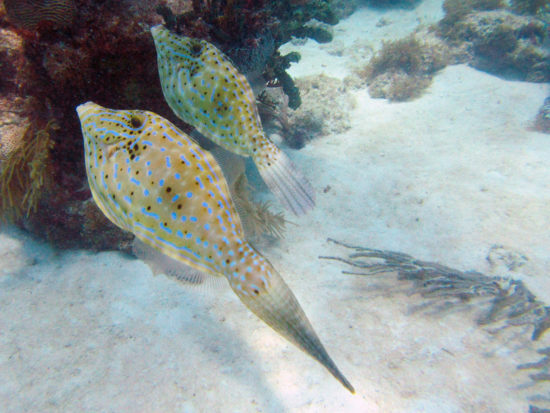 If you are a SCUBA diver or snorkeler, “getting wet” may be the number one reason to visit the Florida Keys. Designated a National Marine Sanctuary in 1990, the Keys are surrounded by the continental United States’ only living-coral barrier reef (third largest in the world), encompassing more than 2,900 nautical miles of protected waters. Both snorkelers and divers can explore nine shipwreck sites stretching from Key Largo to Key West that make up the Florida Keys Shipwreck Heritage Trail. John Pennekamp Coral Reef State Park in Key Largo (MM 102.5) was established in 1963 as the first undersea park in the United States. 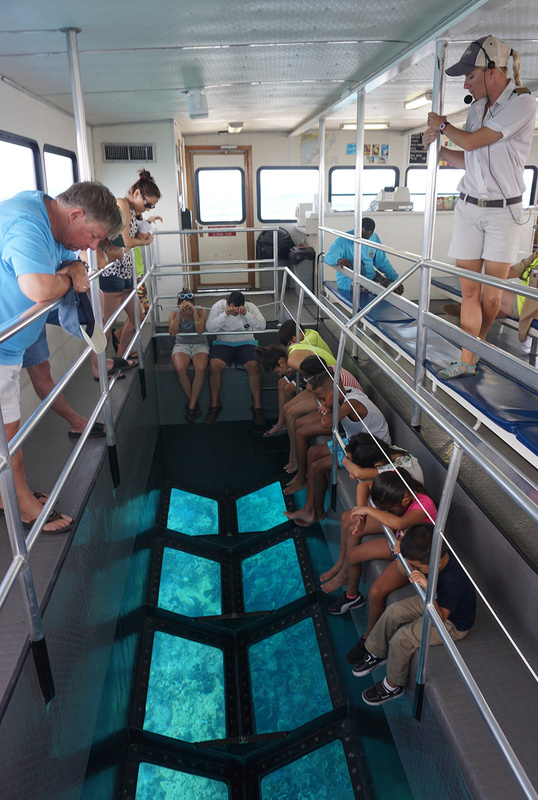 Besides being able to dive and snorkel in the 70 nautical square miles making up the park, visitors can also board a 65-foot, glass-bottom catamaran, Spirit of Pennekamp, for a 2 ½ hour excursion to the coral reef. The park is also the site of one of the most photographed underwater sites in the Keys ­­— a nine-foot-tall “Christ of the Abyss” bronze statue. Since it’s submerged in only 25 feet of water, both divers and snorkelers can view it easily. 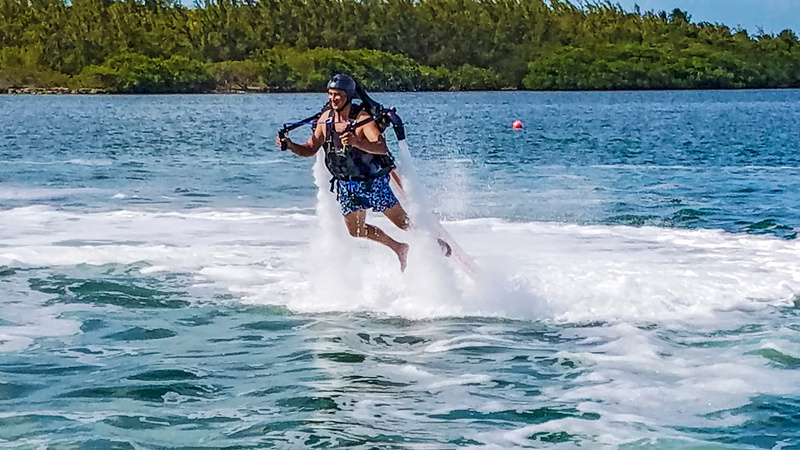 Think of a watersport you enjoy and you can pursue it in the Florida Keys, along with a few you may not have known existed. 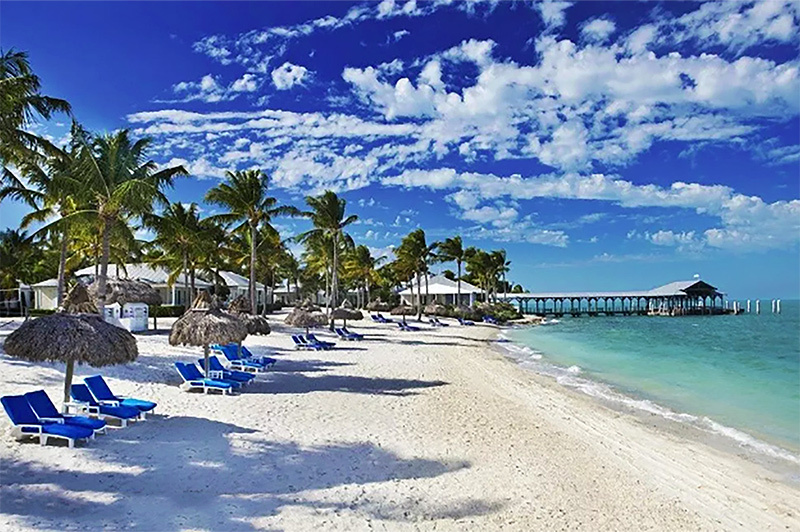 Boating, sailing, canoeing, kayaking, stand-up paddleboarding (SUP), flyboarding, waterskiing, windsurfing, parasailing, and jet skiing are among the options available throughout the Keys. 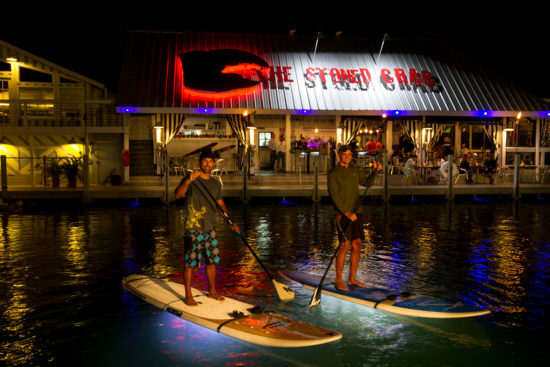 Ibis Bay Paddle Sports, located at Ibis Bay Beach Resort in Key West, offers nighttime guided tours on clear-bottom kayaks and stand-up paddleboards lit by super-bright waterproof LED lights on scenic Ibis Bay. oTHErside Boardsports, Grassy Key (MM 59.3), offers lessons in wakeboarding, paddleboarding, kiteboarding and jetboarding on a seven-acre tidal lake surrounded by 26 acres of mangroves. Sea turtle lovers will not want to miss visiting the Turtle Hospital in Marathon (MM 48.5). Opened in 1986, more than 1,500 injured or ill sea turtles (green, loggerhead, leatherback, Hawksbill and Kemp’s Ridley) have been rescued and rehabbed at the facility. 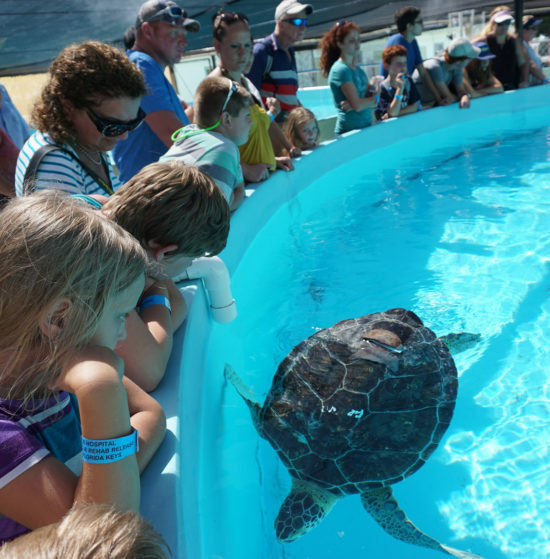 Take a 90-minute guided tour (offered daily from 9 a.m. to 4 p.m.), which includes a short presentation on the types of sea turtles cared for at the Turtle Hospital followed by a behind-the-scenes look at the hospital facilities. Reservations are recommended. The hospital treats a wide range of ailments and damage to turtles caused by boat collisions, ingesting plastic, and entanglements in rope or fishing line. I was surprised to learn that more than half of sea turtles across the globe are affected by viral fibropapilloma tumors and their removal is the most common surgery performed at the Turtle Hospital. 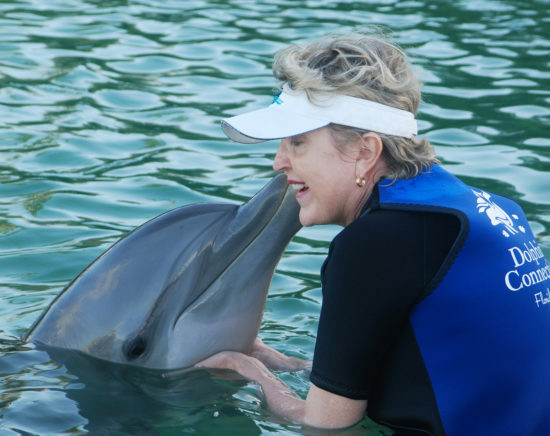 Hawks Cay Resort, located at Duck Key at Mile Marker 61, offers guests the opportunity to have a hands-on experience at its on-site Dolphin Connection, the only resort in the continental U.S. that features a dolphin research facility. I was thrilled to be able to commune with these amazing mammals in a saltwater lagoon next to the open ocean when I stayed at Hawks Cay several years ago. Guests can also become a trainer for a day or just observe them from the dock and admire their aerial acrobatics. Other dolphin programs in the Keys include: Dolphins Plus in Key Largo and Theatre of the Sea in Islamorada. 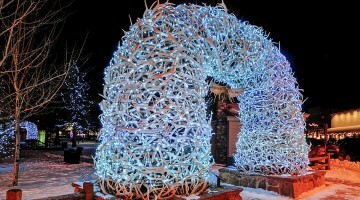 Time your visit to the Keys to coincide with a festival to suit most any taste or interest. 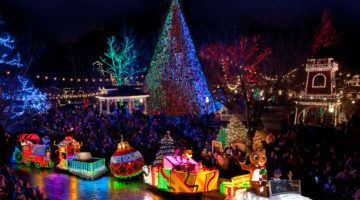 Keys festivals run the gamut, from music and art, birding and wildlife, to pirates and literary festivals. 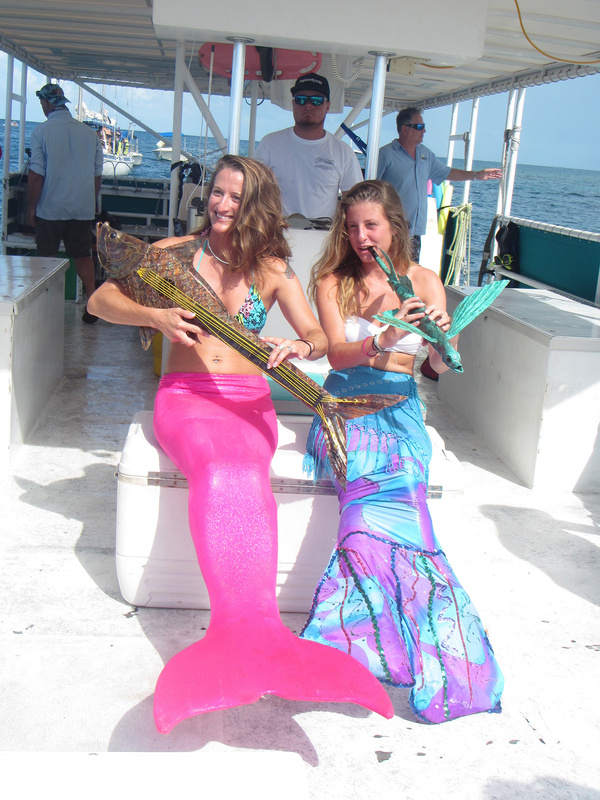 Visit the Keys Arts website for a festivals directory or the Florida Keys calendar of events. Lower Keys Underwater Music Festival – Our visit was timed to coincide with the Underwater Music Festival, held the Saturday following July 4th at the Florida Keys National Marine Sanctuary/Looe Key Preservation Reserve. Boats filled with snorkelers and divers make their way to Looe Key Reef off Big Pine Key to explore the reef. Local radio station WWUS 104.1 FM pipes music underwater, adding a unique element to the event, now in its 34th year. Photo by Debbra Dunning Brouillette. 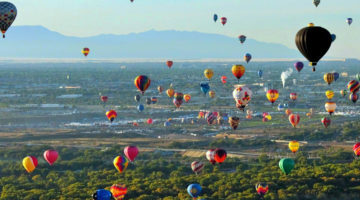 Hemingway Days – a 10-day festival held in July to celebrate Hemingway’s birthday, includes Look-a-Like Contest, Twilight Party, 5K Run, Street Fair, Regatta, Short Story Competition, Marlin Tournament, Literary Events, and more! Fantasy Fest –Held each October in Key West since 1979, Fantasy Fest is billed as 10 days of “adult partying,” featuring costuming, parades, libations, and excitement. Birding Festival of the Keys (B.E.A.K.S.) 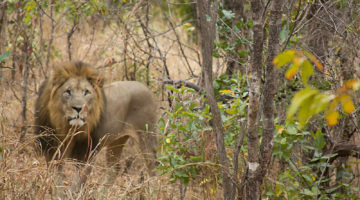 – Held in September in Marathon, it includes field trips, workshops, and lectures with top guides and biologists. 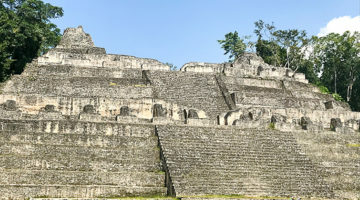 For more information on visiting the Florida Keys, go to www.fla-keys.com. 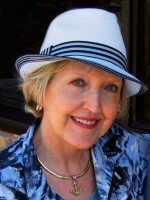 Tropical travel has been Debbra's passion as she has traveled throughout the Caribbean Islands for the past two decades. 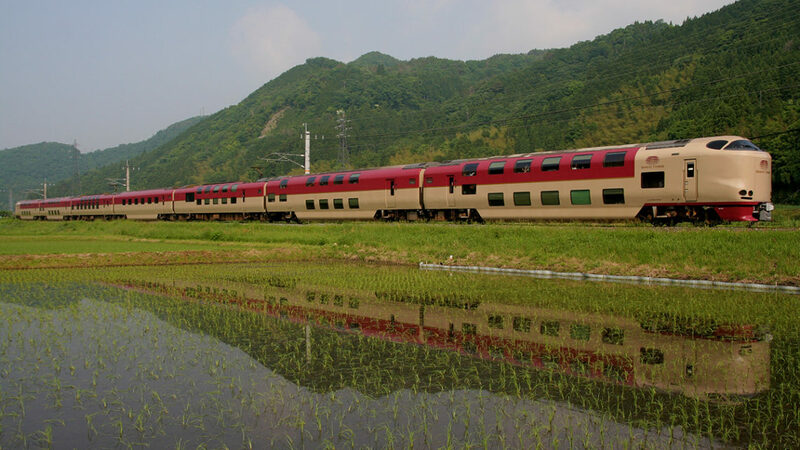 Trips to French Polynesia, Fiji, the Canary Islands, the Galapagos Islands, Kauai, Spain's Balearic Islands and Corsica have expanded her world of tropical travel beyond the Caribbean. A scuba diver and avid photographer, she enjoys exploring the reefs and natural wonders, savoring the food, meeting the natives, and finding what makes each island unique.